Employees are the lifeblood of any business, and their productivity is directly tied to their happiness. Employees who feel their needs are being met are generally more productive and creative. It’s human nature, and finding a space that supports your team can mean happier and more productive employees. Open-concept office spaces are great for collaboration, but what happens when someone needs a private space to focus or make a call? Consider finding space with smaller office rooms that can accommodate the need for a place to think, a place to be productive and place for your employees to take a moment away from the hustle and bustle. Whether your team is trying to complete that sale or they’re corresponding with a client via video conference, it’s important to have a designated space to take calls and video conferences. This room will need to have infrastructure that allows it access to the necessary technology. From social gatherings to team meetings to networking events, there needs to be space within your office for people to gather. Consider a multi-purpose space with movable furniture and partitions. This will allow you the freedom to use the multi-purpose area to gather when needed and utilized for other office functions when not needed. Adequate spaces and layout should be an important consideration for your search. 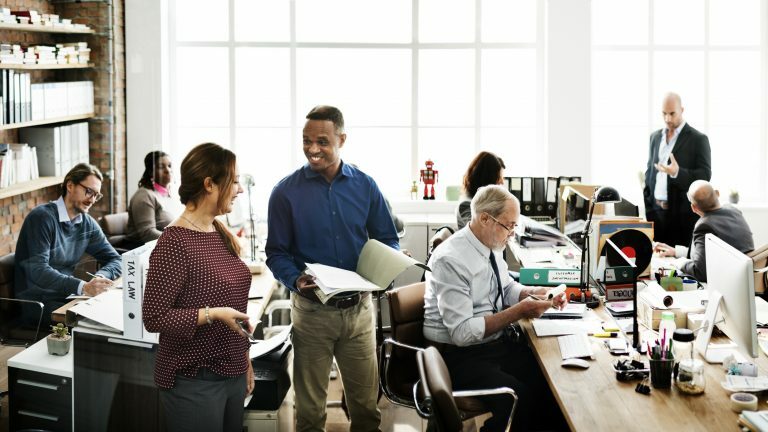 When your team feels supported and heard within the office space and structure, the results yielded will be boosted productivity, increased morale and an overall better work experience. Mother’s Rooms are one of the best ways you can support employees coming back from maternity leave. Not only are these spaces a great way to help the mothers on your team feel like their needs are being met, it’s also illegal to not have a private area for women who are nursing. Where you work matters. That’s why we’ve partnered with an online software platform to make it easy to search for spaces that are specific to your needs. All you need to do is enter your informationhere.You will be given access to a database of office space listings complete with virtual tours, floor plans and all-in monthly prices. Finding the space of your dreams is only a click away.